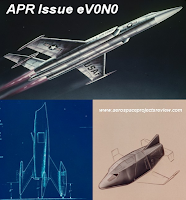 Aerospace Projects Review - The classic "journal of unbuilt aircraft and spacecraft projects" including detailed schematics for aircraft and spacecraft designs such as Saturn V S-IC derived flyback boosters, the Helios nuclear-pulse propulsion program, the incredible Project Orion interplanetary battleship, various predecessor of the X-20 Dyna Soar, the Space Shuttle, the International Space Station (ISS) and many others. The Atomic Rockets of the Space Patrol website - Inspired by Heinlein, Clarke and Pournelle to provide everything you need to know about building spaceships. The site is especially useful for its discussions on engines, realistic spacecraft designs and a standalone section on "Rocketpunk and MacGuffinite." Becoming Spacefarers: Rescuing America's Space Program - All you ever wanted to know about the US space program including political intrigue, historical analogies, and ideas that challenge conventional wisdom, written with the intent to add constructively to the debate on what we should be doing next in space exploration and development. Written by James A. Vedda, a senior policy analyst and government contractor in the Washington, D.C. area. The Canadian Science Writers Association - A national alliance of professional science communicators. Canadian Space Flight History – A short history of Canadian efforts by Chris Gainor, the author of Arrows to the Moon and Canada in Space. Canada’s 50 Years in Space: The COSPAR Anniversary – Provides a thorough description of the parallel growth of the Canadian space science program and the international activities of the Paris based Committee on Space Research (COSPAR) from 1958 up until the 50th Anniversary of COSPAR in 2008. Written by Gordon Shepherd and Agnes Kruchio. Canadian Space Directory – The Canadian Space Agency’s listing of private and public organizations engaging in space related activities in Canada. The Chapman Report – Canada is today an international leader in the fields of communications and remote sensing because of John Chapman (1921-1979) who was senior author of a report entitled “Upper Atmosphere and Space Programs in Canada.” The document, written in 1967 and now known simply as the “Chapman Report,” recommended using Canadian satellite and space technology for commercial activities such as communications and resource management instead of focusing only on scientific research. Over time, the report became “Canada’s Original Blueprint” for space activities. Presentations from the Future In-Space Operations (FISO) Working Group - These are archived and peer reviewed studies (some with audio visual and power-points) for a variety of NASA approved concepts related to future in-space operations and activities.This site includes Dan King's presentation on the MacDonald Dettwiler (MDA) on-orbit satellite servicing proposal (under the title, Space Servicing: The Future is Now) and a variety of presentations on asteroid mining techniques and tools. The site provide a fascinating overview of what could be accomplished today with the proper budget. Historical Investment Financing of Exploration for New Worlds, Current Analogies to Other Industries, and Ideas for the Future - A discussion paper on how explorers historically have been financed. How NASA Builds Teams - By Charles J. Pellerin and focused on "mission critical soft skills for scientists, engineers, and project teams." This book outlines team building techniques used to improve communication, performance, and morale among NASA’s technical teams using only a fraction of the time and resources of traditional training methods. ISRU Info: The Home of the Space Resources Roundtable - A non-profit corporation promoting the development of space resources. Recent meetings have been held in conjunction with the Planetary & Terrestrial Mining Sciences Symposium (PTMSS), which bills itself as "the future of space mining." LEO on the Cheap - By Lt. Col. John R. London III. A fascinating read on methods to achieve drastic reductions in launch costs. It's a part of the Dunn Engineering website and serves as a useful companion piece to the 1993 John Walker article "a Rocket a Day Keeps the High Costs Away." The Microsat Way in Canada – A paper written by Peter Stibrany and Kieran A. Carroll discussing how micro-satellite manufacturing methodologies will change the economics of space applications and reduce the barriers to entry for new companies. This is the basis for the methodologies in use today at the University of Toronto Institute for Aerospace Studies (UTIAS) Space Flight Laboratory (SFL). Packing for Mars: The Curious Science of Life in the Void -By Mary Roach. “America’s funniest science writer” (at least according to the Washington Post) returns to explore the irresistibly strange universe of life without gravity in this New York Times bestseller. The Online Journal of Space Communication - Since 2001, this scholarly publication has bridged the world of the professional and the world of the academic to advance the purposes of satellite and space development. The publication invites submissions that documents and examines a broad range of issues and events in space and satellite communication, including their historical, technological, economic, policy, cultural and social dimensions. The Orbital Express Project of Bristol Aerospace and Microsat Launch Systems - An important case study for those wishing to study the technology and business development issues surrounding a small satellite launch vehicle. Orbital Hub - Canadian based blog "where space exploration, science and engineering meet" with a heavy focus on robotics and micro-sats. Reaching for the High Frontier: The American Pro-Space Movement, 1972-1984 - by Michael A. G. Michaud is exceptional reading for background on the various space advocacy groups which grew out of the 1972–1984 period of stagnant space activities with many useful lessons. A Short History of Private Space Development - Useful historical context from Clark S. Lindsey. Space Chronicles: Facing the Ultimate Frontier - by Neil deGrasse Tyson. With his signature wit and thought-provoking insights, Neil deGrasse Tyson—one of our foremost thinkers on all things space—illuminates the past, present, and future of space exploration and brilliantly reminds us why NASA matters now as much as ever. Thirteen power point presentations on Space, Cyber and Telecommunications Law - From various public conferences held at the University of Nebraska - Lincoln and including presentations from top lawyers, international experts, FAA representatives and lobbyists. Space Mission Analysis and Design - By James R Wertz and Wiley Larson and known as SMAD. A textbook quality publication for engineering and space activities providing what you need to speak the language of space. SpaceRef Canada – Space news, as it happens from SpaceRef Interactive Chief Architect and CSCA Director Marc Boucher. Part of the larger SpaceRef Interactive Group which includes SpaceRef USA and NASA Watch. The Space Report – The “authoritative guide to international space activities” published by the Space Foundation, one of the world’s premier nonprofit organizations supporting space activities, space professionals and education. The Space Foundation Introduction to Space Activities is also worth taking a look at. Thruster Magazine - The monthly market tracking report, covering hundreds of international NewSpace companies, published by NewSpace Global. Universe Today - A well respected, BC based, for profit website focused on worldwide space science and astronomy activities. 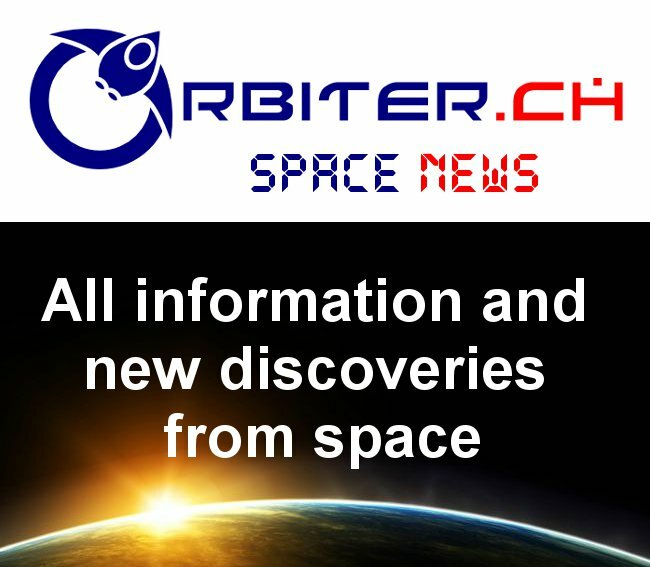 Also organizes the weekly "Carnival of Space" showcasing blog articles focusing on space topics. Vision Restoration - Fascinating reading on NASA, ESA and America's past and future in space. Focused around the February 2004 NASA Vision for Space Exploration but full of lessons related to the current Space Launch System (SLS) debate and large, government funded space programs in general.